What can I say about the current edition of the New African and New African Woman magazines which both publications don’t tell you when you pick them up? 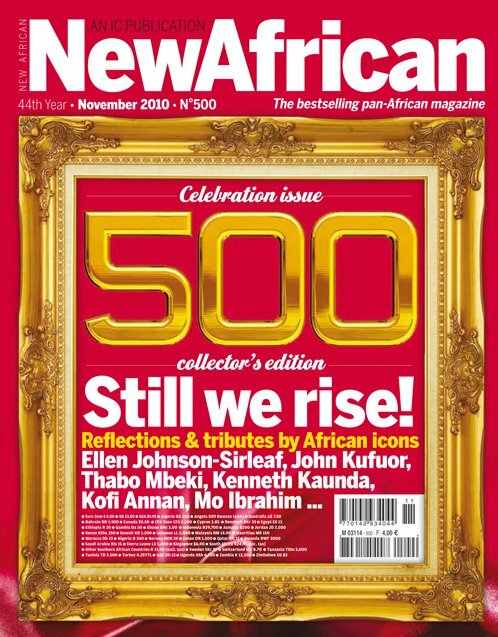 The New African is celebrating its 500th edition and what a bumper edition. From the editorial which is simply titled, 500 and Still We Rise to retrospective articles over the years to contributions from the likes of Kofi Anan, Kenneth Kaunda, Mo Ibrahim, Ellen Johnson-Sirleaf, Thabo Mebeki and John Agyekum Kufor, Ghana’s former president, you are spoilt for choice of articles to read. This edition is a must read for anyone interested in African news and current affairs. It is so meaty, it is hard to put it down. It is a collector’s edition with a wealth of writers and African leaders I admire. So imagine the honour I feel, knowing I also have a piece in this edition, an interview with Ahmed Kathrada, who spent 26 years on Robben Island with Nelson Mandela. I interviewed him during his visit to London for the launch of Nelson Mandela’s new book, Conversations With Myself, which is the basis of my feature. When I got my copies in the post earlier this week, I was close to tears because this for me is worth the sleepless nights and hours spent transcribing interviews. It only makes sense for the New African to bill itself as the bestselling pan-African magazine and this edition goes a long way to make that point crystal clear. It takes a special magazine to survive from its inception in 1966 to date. Well done to the New African. 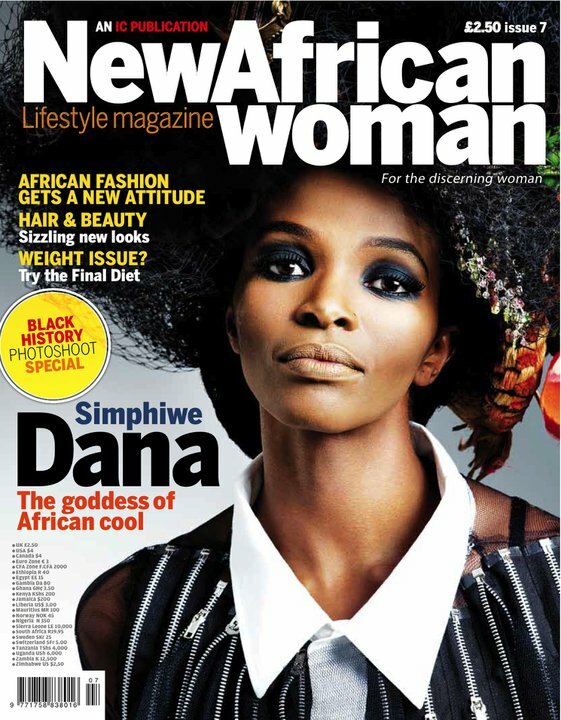 Now, let’s move on to the New African Woman, equally as brilliant and packed worth insightful articles on different subjects/issues close to the heart of the African Woman. From the special on Black British Women, celebrating their African heritage to an interview with the soulful songstress, Simphiwe Dana, what a beauty she is, to a fashion special with some of Africa’s leading designers, Christie Brown, Thula Sindi and Nkesani Nkosi of Stoned Cherrie…she is one of my favourites. If I say more, I would be giving it all away. To tastefully portray the abundant and diverse black women’s beauty, other than cheapen it! On this occasion, it has lived up to expectations and you will not be disappointed. A job well done to the editors of both publications. It would be a shame to miss either of these well thought-out editions which celebrate Africa for all her glory, faults and the fact that she is striving to grow. Miss it, miss out! What are you waiting for? Go and get your copies! Telephone: +44 (0) 207 841 3220 for your local area, region and individual countries. This entry was posted on Thursday, November 4th, 2010 at 6:38 pm	and is filed under Africa, Black Britain, Journalism, Politics. You can follow any responses to this entry through the RSS 2.0 feed. You can leave a response, or trackback from your own site. New African really looks nice. It’s a collectors copy. NAW, I was looking for the Issues segment. There seems to be more pictures and less text. Just me, wondering. Both mags have a unique place in publishing I must say.